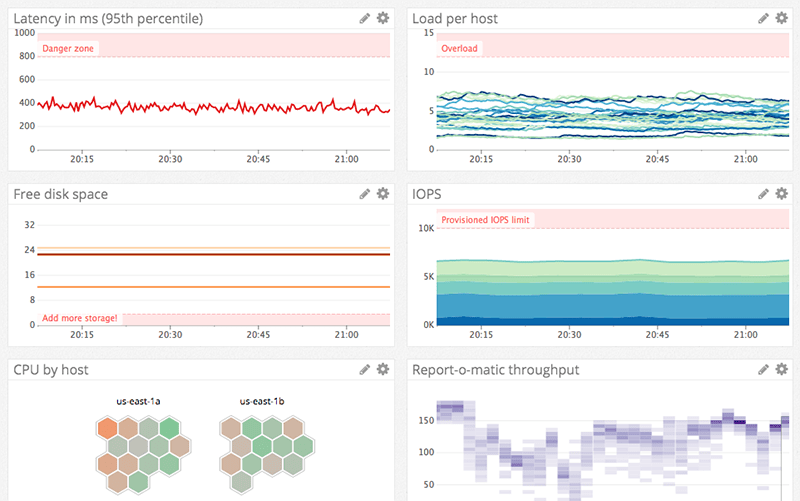 Monitor Lambda performance with latency stats, error counts, and full support for custom metrics. 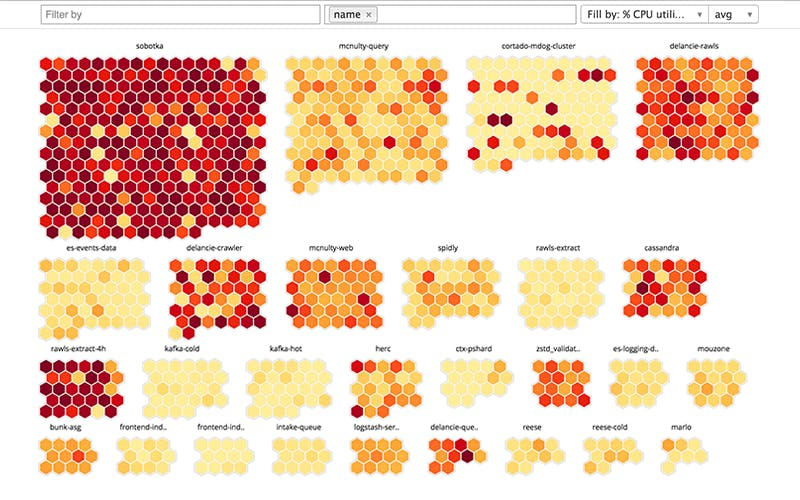 Create drag-and-drop dashboards to graph, analyze, and correlate metrics and events. 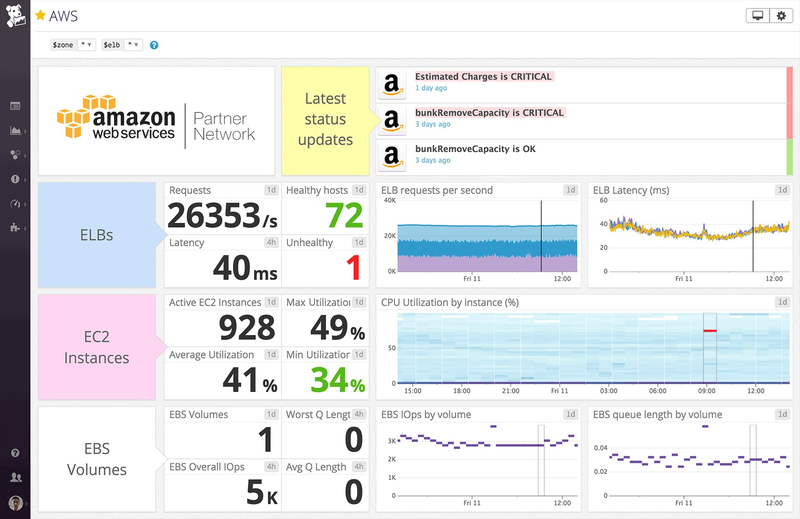 Discover and monitor all your AWS services including EC2, ELB, EBS, ElastiCache, RDS, and more. 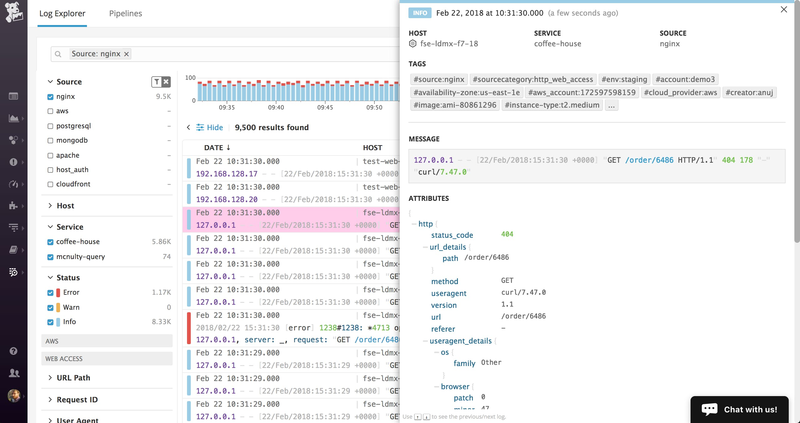 Use your AWS tags to combine metrics from instances that work together. 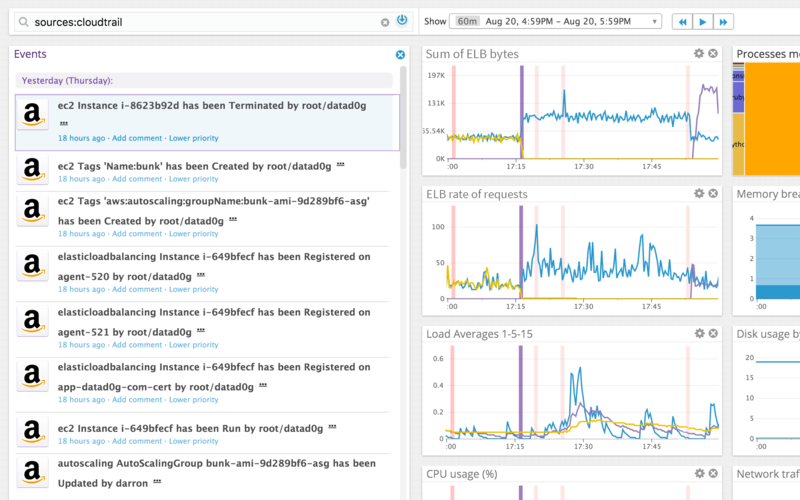 Set alerts on latency thresholds, error counts, outliers, and more. 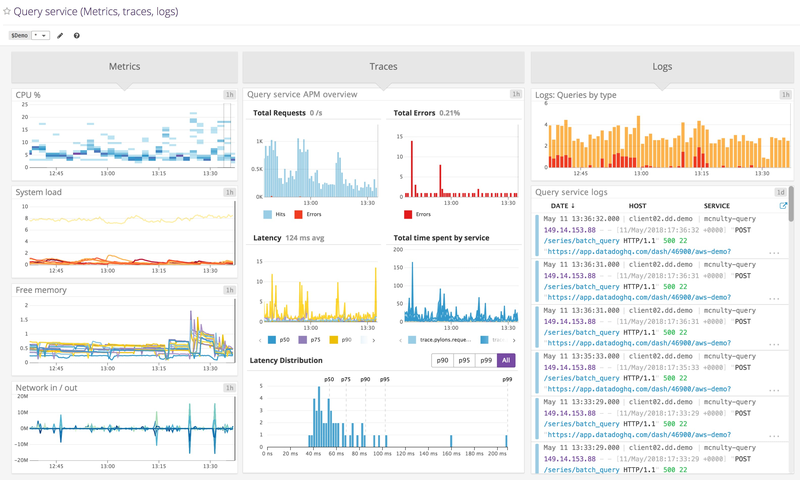 Easily collect and manage logs across your environment, from apps to hosts, and all of the services in-between.